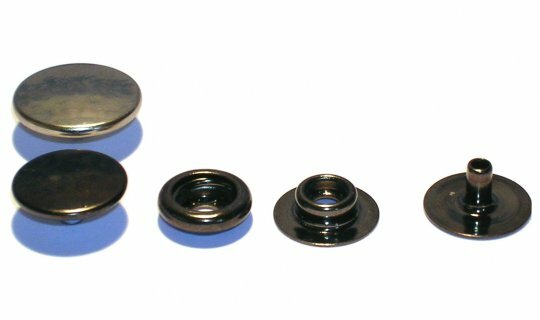 Press stud with black enamel cap and nickel plated small underparts - 13mm diameter. Matching hammer tool NoG22C. 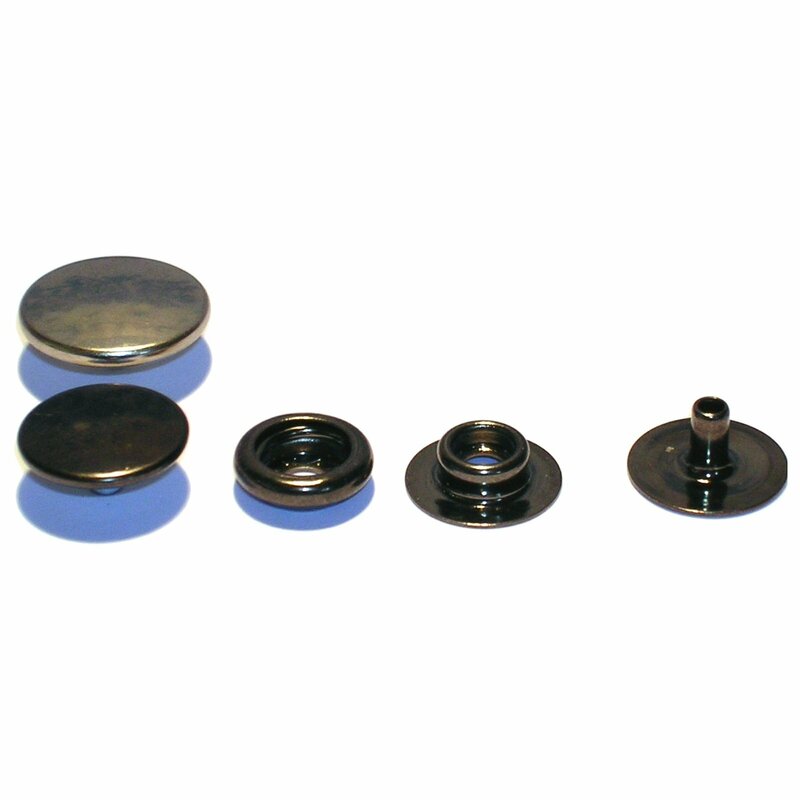 Made from steel, these OPAS press studs are ideal for use in the leather craft and cosmetic industries.